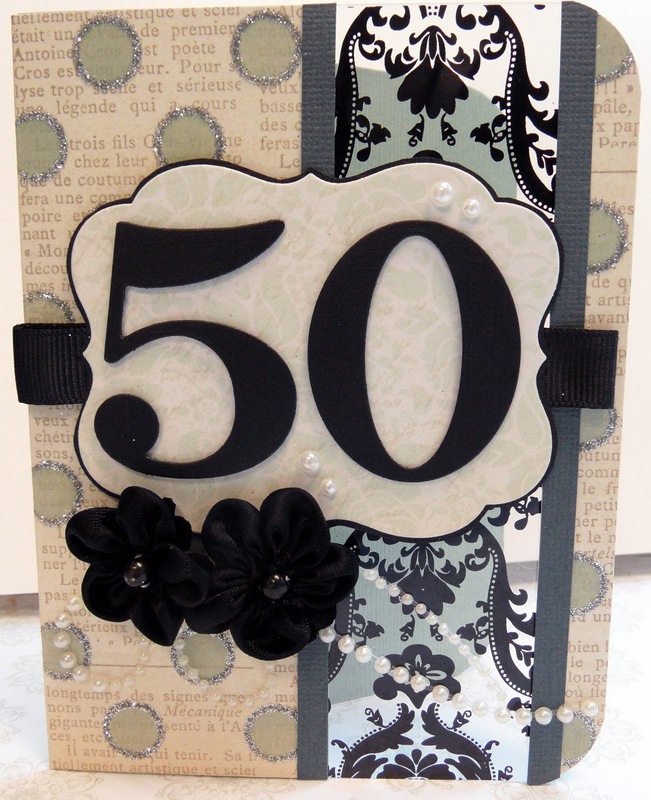 A friend asked me to make a 50th birthday card for a friend of hers. I love doing special requests but with not other information than a 50th birthday for a woman, it is ometimes hard to know what they will like. I pulled out an A La Tarte kit from Lime Tart that I had not used yet and set to work, using a card by Jennifer McGuire as inspiration. The acetate panel concept is fantastic.